Imperial is taking applications for driving positions. large equipment, and have or be able to obtain a CDL-B. 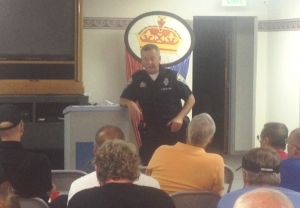 State Trooper and Motor Carrier Enforcement Specialist Roger Dickison was guest speaker at Imperial’s Safety meeting held on May 29th. We thank Roger and The Indiana State Police for their participation. Safety and Quality Customer Service are our number one Priority! Imperial’s new coach has integral construction of the body and chassis providing a superior ride and comfort similar to our larger coaches. The coach is ideal for shuttles and longer trips. Amenities include large luggage space, restroom, plush seats, foot rest, cup holders, fold down trays, seat belts, DVD player, Lap top/phone plug ins and WiFi available. Call or email our charter department for complete details and quotes on all your travel needs. 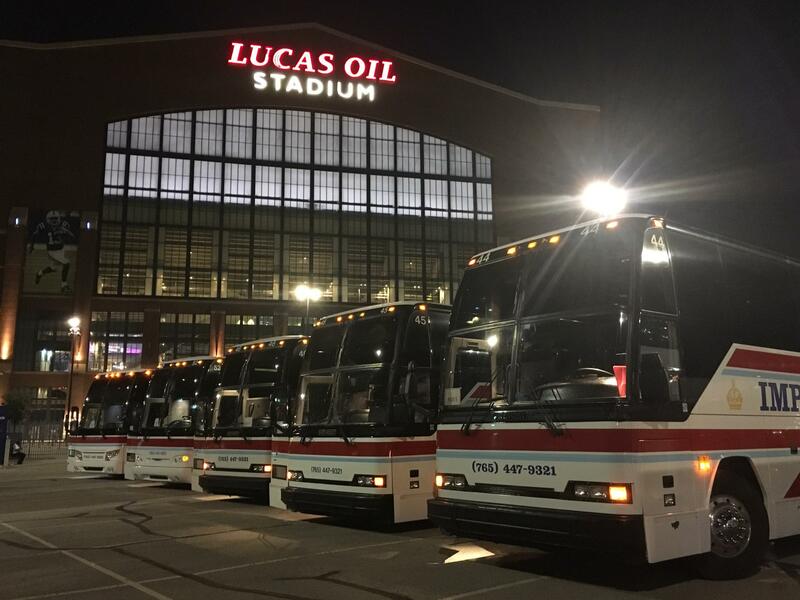 Whatever your group needs – one coach or many, wherever your group wishes to go – across town or cross country, we can meet all your transportation needs. Our staff will gladly arrange transportation to the places you would like to visit. With all of the stress and fuss a big event can bring, why not leave the transportation up to the professionals at Imperial Travel. Arrive in style and comfort. Schedule your limo service today! We have been serving travel needs since 1974, and are proud of our first rate fleet of luxurious, well maintained motor coaches. By choosing Imperial to transport your team, you will be provided with experience and safe travel for the duration of your stay. Since 1969 Imperial has offered Educational Tours for groups.